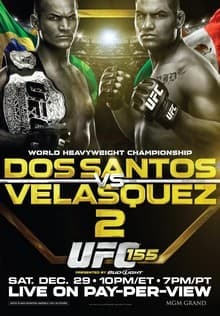 After a big win in our last UFC picks article, we move on to UFC 155 where we look to continue our profitable year in UFC betting. I’ve been waiting for this rematch for ages. JDS is a top class HW striker, but there’s no doubt in my mind that he had a considerable amount of luck on his side when he knocked out Velasquez to take the HW belt. Until that point Cain had been on a phenomenal run, notable scalps including Big Nog and Brock Lesnar. JDS is on a similar run right now and his biggest win to date was obviously that over Cain. He took the belt from him fair and square when his big right punch landed in the opening round. But, I’m surprised how quickly people, fans and the bookies, forgot about Cain. That’s a huge mistake. His return to the octagon, when he destroyed Bigfoot Silva, should have reminded everyone. But apparently it hasn’t! Cain is available as high as 9/5. Don’t get me wrong, Junior is a top class fighter, he’s a likeable fighter, and he deserves to be the favourite. But not by as much as the current margin. For their first encounter, Dos Santos’ odds were too long. After the quick knock out the knee jerk reaction from the bookies has driven the odds back too far and now Cain represents value. You can bet all these fights at BetOnline.ag the leading US sportsbook for UFC betting. Here we have two excellent submission artists. With 30 submission wins between them. Lauzon is noted for only going the distance once in 29 fights. A huge risk taker, he always looks to end fights. Miller will approach this fight with caution. His submission loss to Nate Diaz set him back and he won’t want it to happen again. I imagine he’ll keep this standing and get the TKO win. This is almost 50/50 in betting. With Costa a slight favorite, and tbh I’ve no idea why. He barely scraped past Jorge Riveria, who is awful. Put me to sleep verses Court McGee. Boetsch is by no means top of the pile at 185. However he has repeatedly shown that he comes to fight. He edged a decision over a cautious Lombard. And showed his power with a 3rd round knock out of Okami. Boetsch should be favourite here and in my opinion represents value at even money. Another good MW battle. Many people probably won’t realize that this is actually a rematch. Okami and Belcher met in 2006 in their mutual UFC debut. Since then both have become season fighters. Each has racked up a series of wins, with an occasional loss. This fight is pretty close. I give the edge to Okami in grappling, experience and speed. But Belcher hands down takes it in the power category. As we seen in Okami verses Boetsch, that’s all it takes. Both fighters are around even money and I like a small bet on Okami. I don’t really care for this fight. Leben is a journey man battling personal demons. Over his career, He has repeatedly shown his head was not in the fight. He has failed drugs tests twice, most recently testing positive for painkillers after a loss to Mark Munoz. For this he served a 1 year ban and a stint in rehab. I’m not convinced he’s entering this fight in good shape. Mentally or physically. Brunson is a strikeforce crossover. He racked up a string of wins against low level guys. Then lost to UFC reject, Kendall grove – who I don’t rate – another to Jacare Souza – who I do. Leben, in 100% condition, should win this easily. But he’s a decent favourite, there’s simple too many unknowns to take the short price on him. Now this fight on the other hand should be on the main card. I was pretty disappointed when this was pulled from the TUF card. But rightfully so when Varner was found vomiting back stage. Guillard is a good fighter, but unfortunately he thinks he is a great fighter. His cockiness has cost him against others in the past. Varner is almost the opposite. A lightweight with very heavy hands, he prefers to say little and let his hands speak. After moving to Blackzillians camp in Florida, a lot of fighters have reentered the Octagon with new strength and focus. I’m expecting Guillard to do the same. Varner’s recent sickness must have hindered his training. Based on these two facts, I’m siding with Guillard.